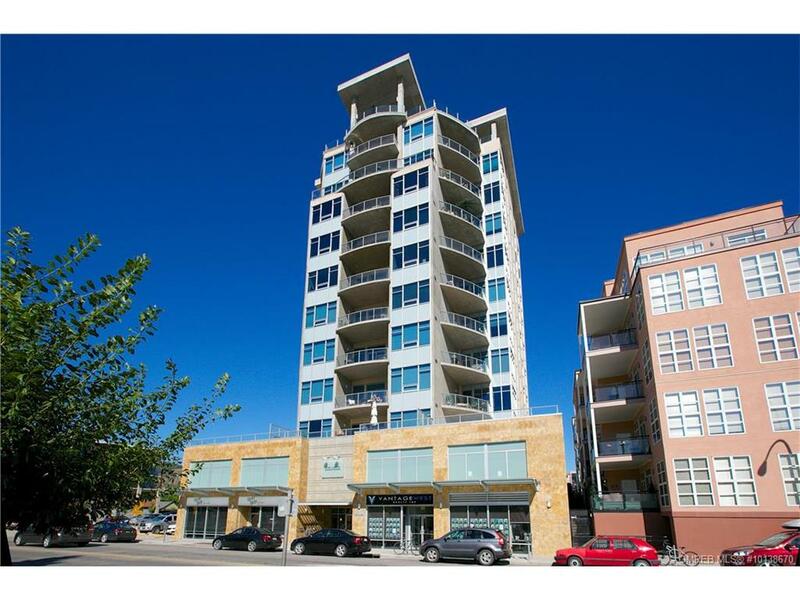 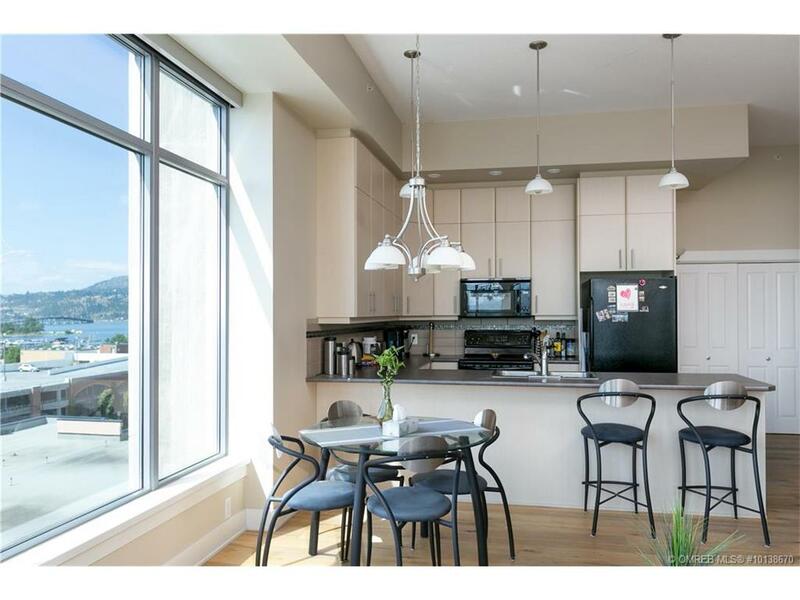 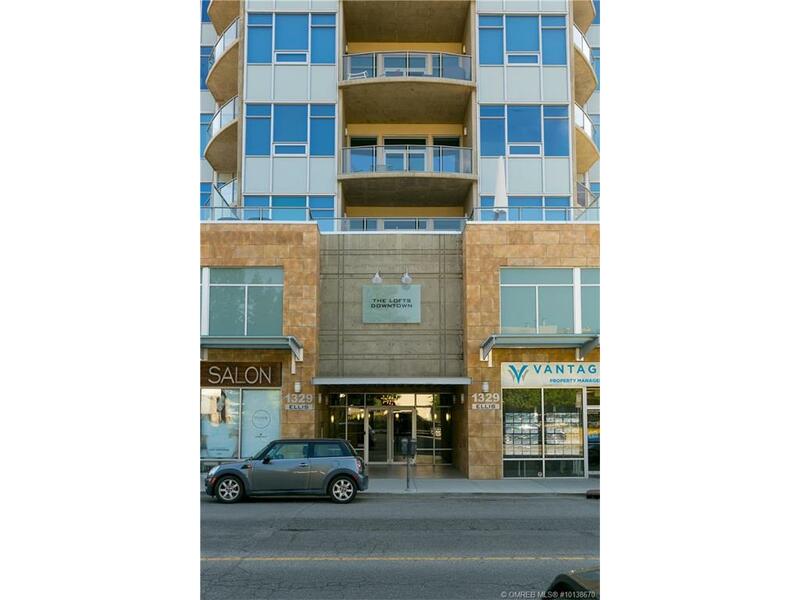 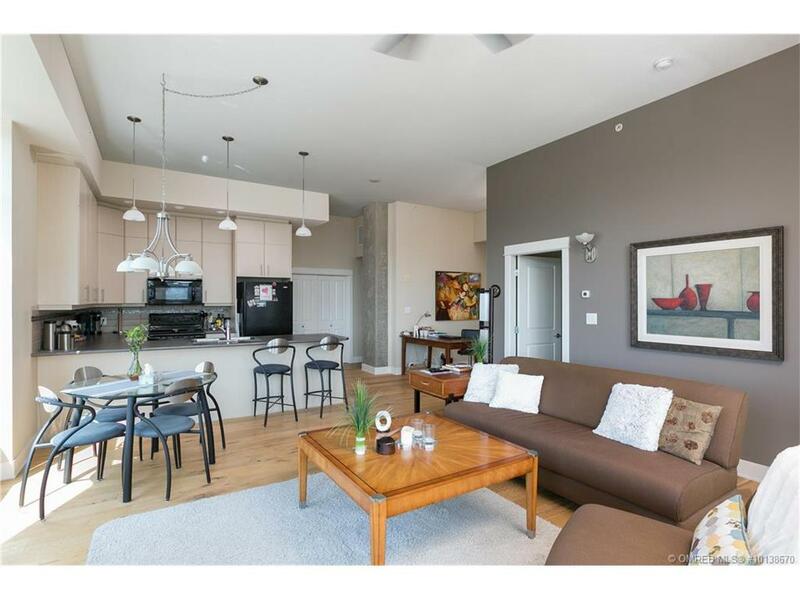 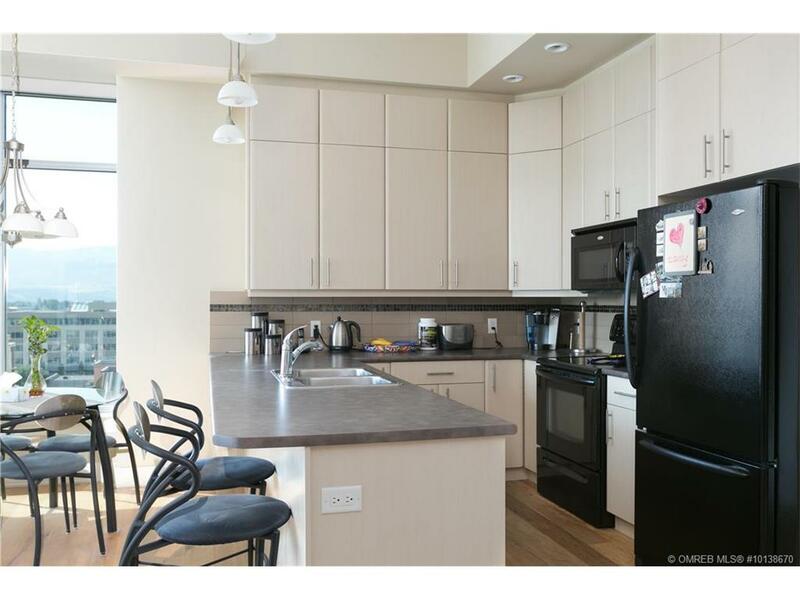 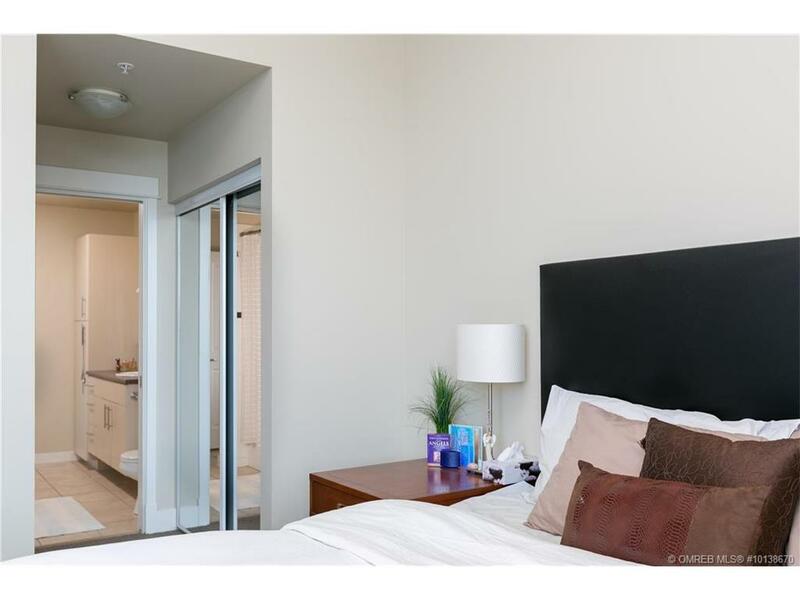 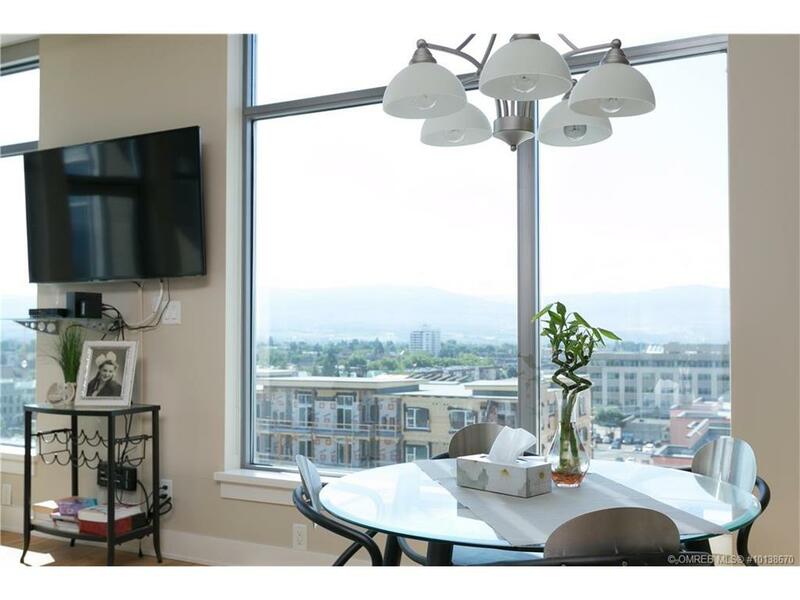 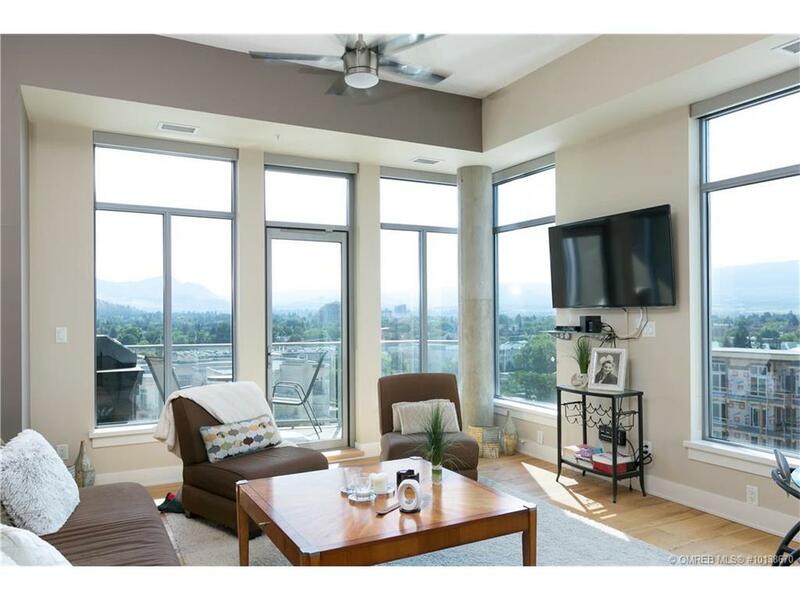 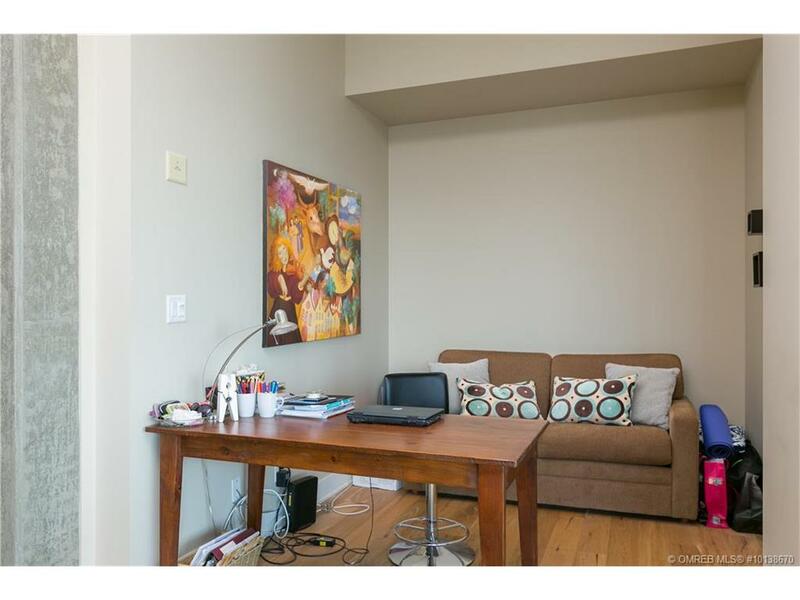 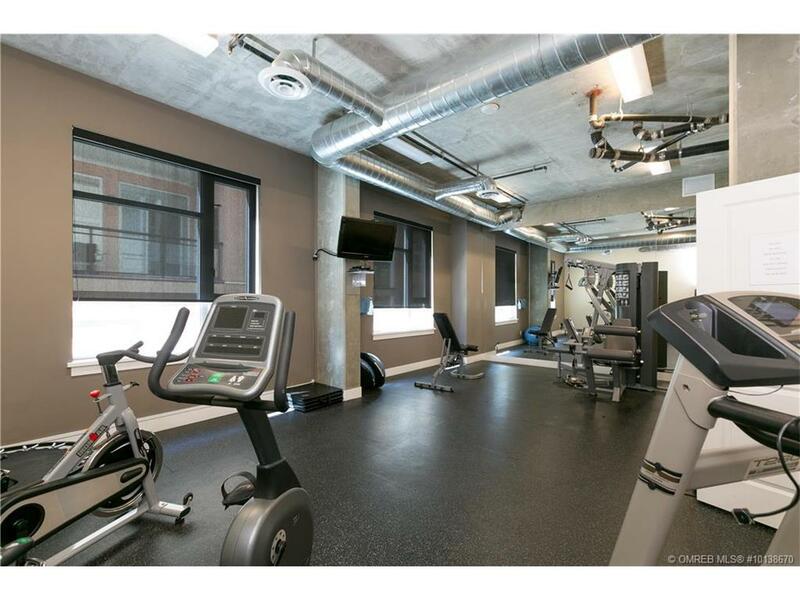 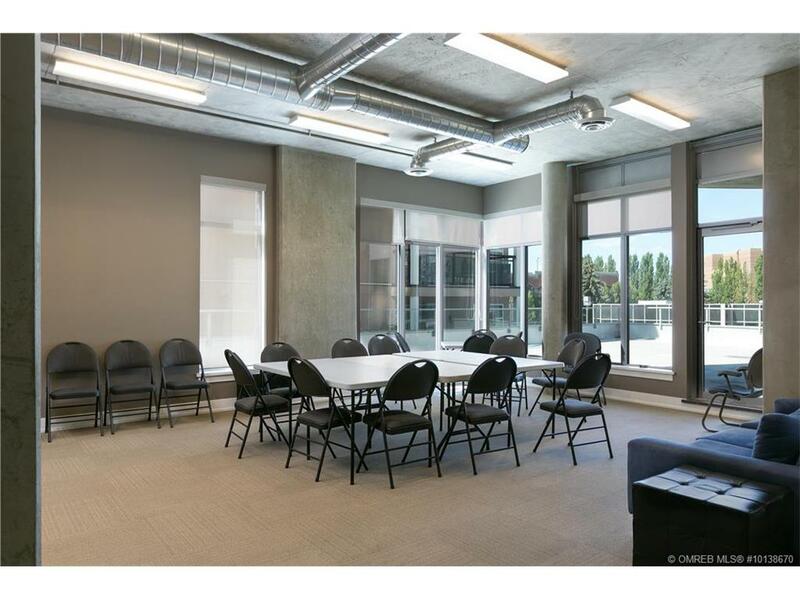 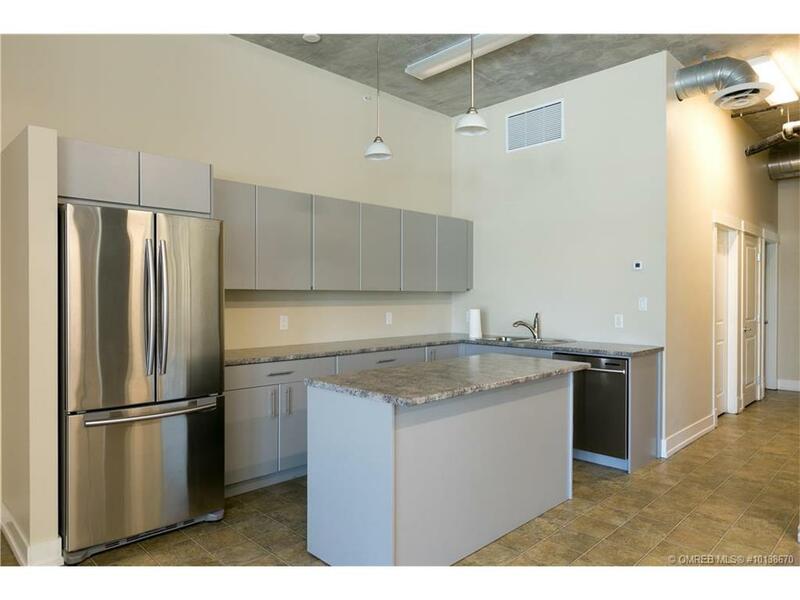 This centrally located exceptional concrete condo with 14′ ceilings is an investors dream or first time home buyer’s perfect opportunity. 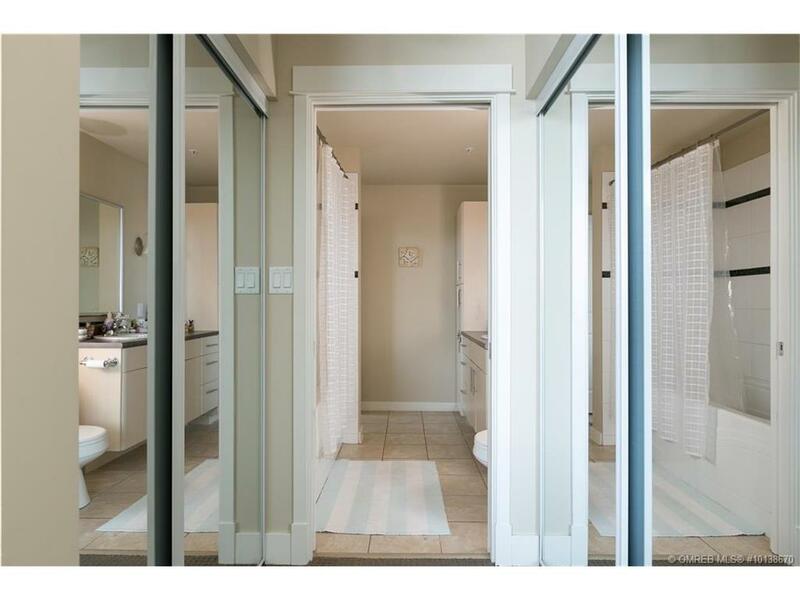 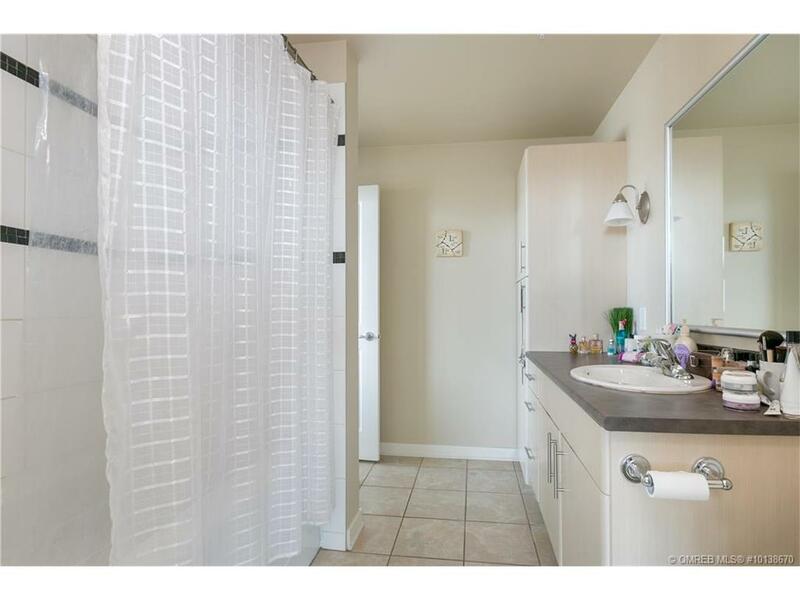 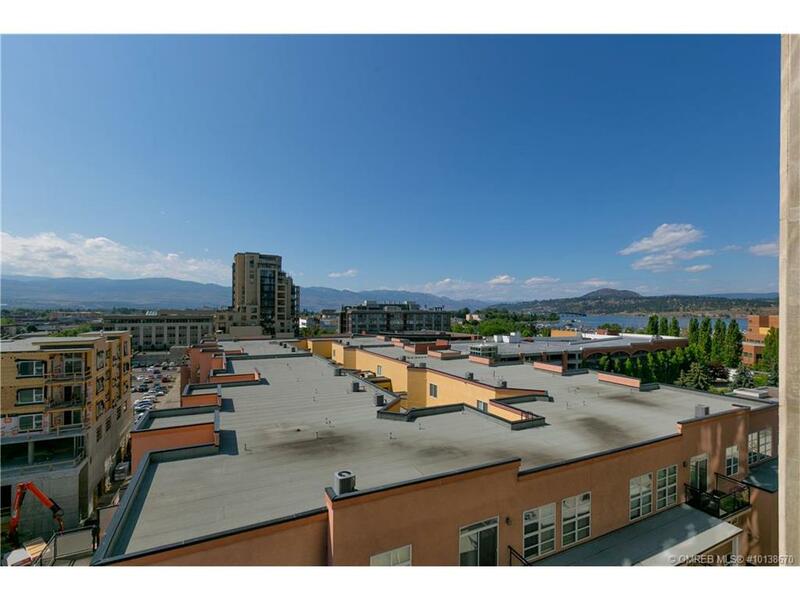 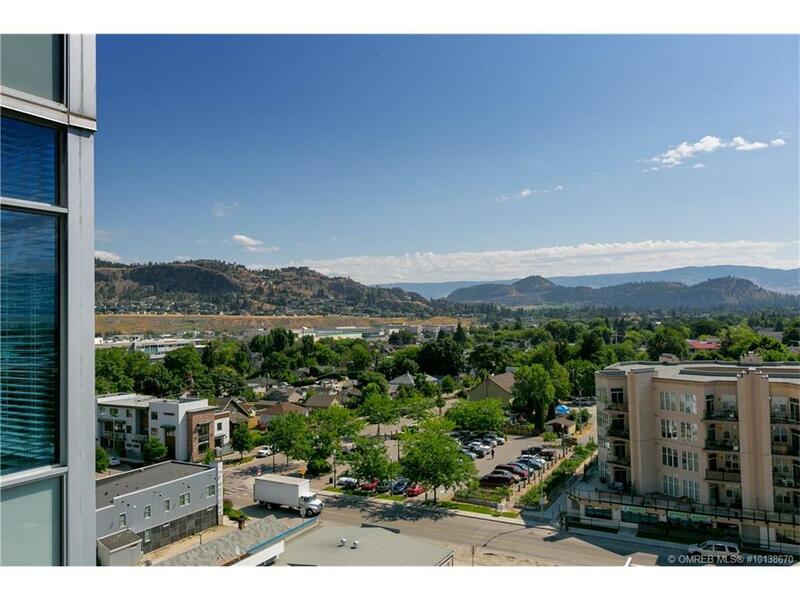 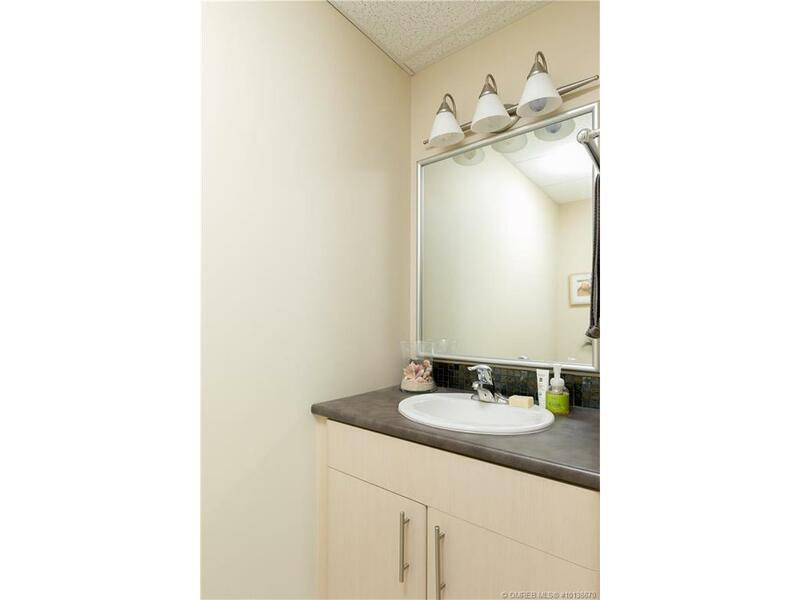 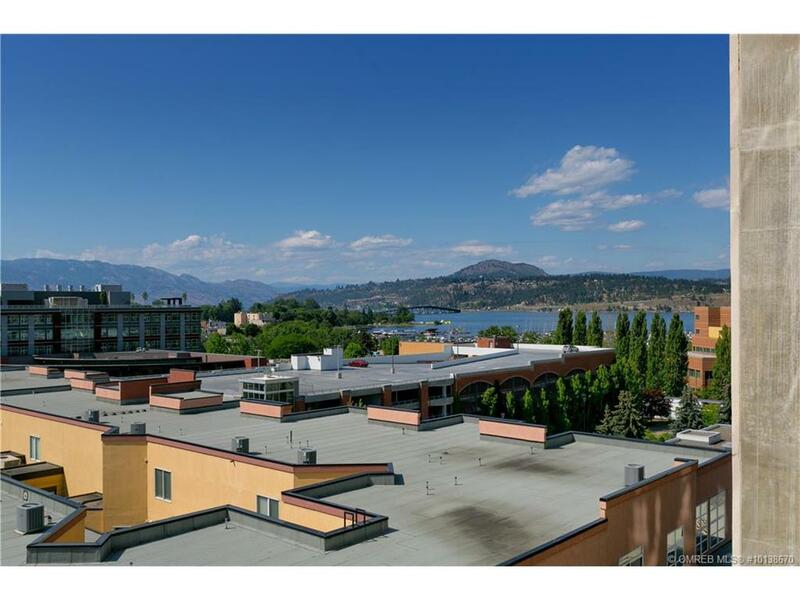 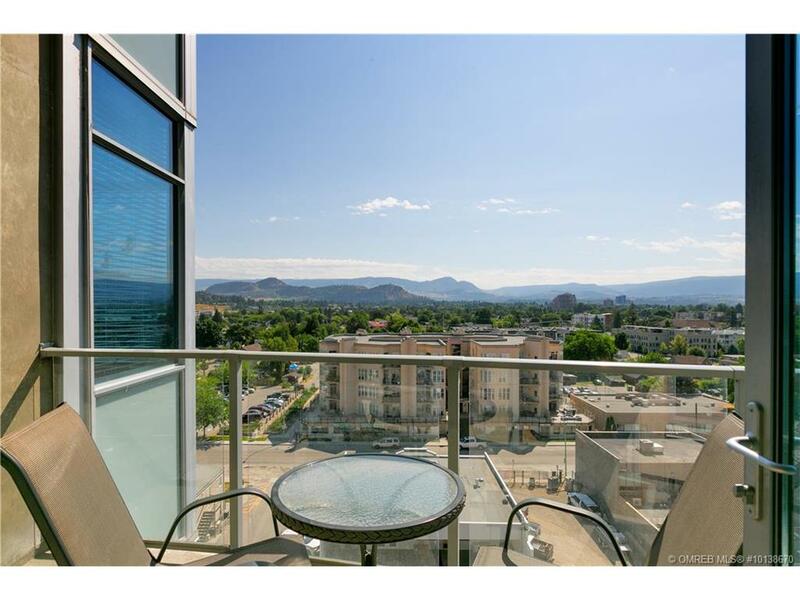 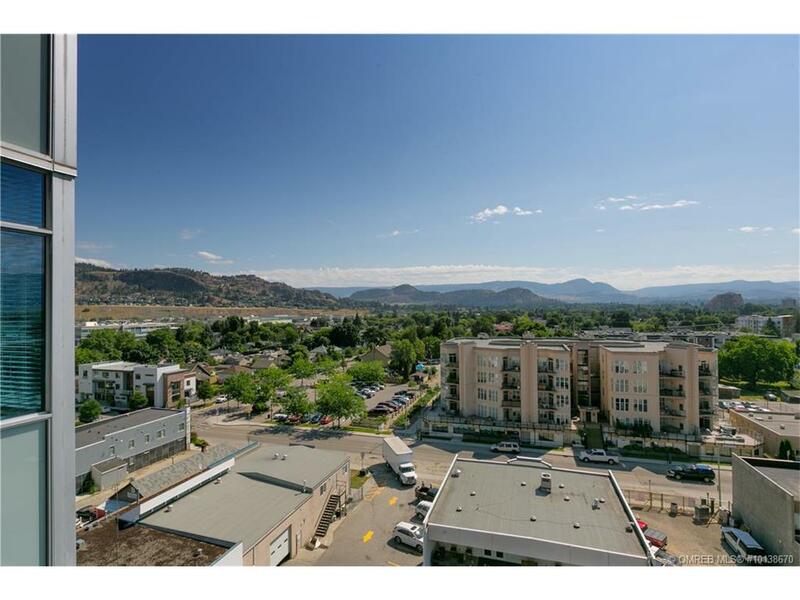 Located in the heart of Kelowna, close to all restaurants, cafes, shops, grocery store, beaches and major bus routes. 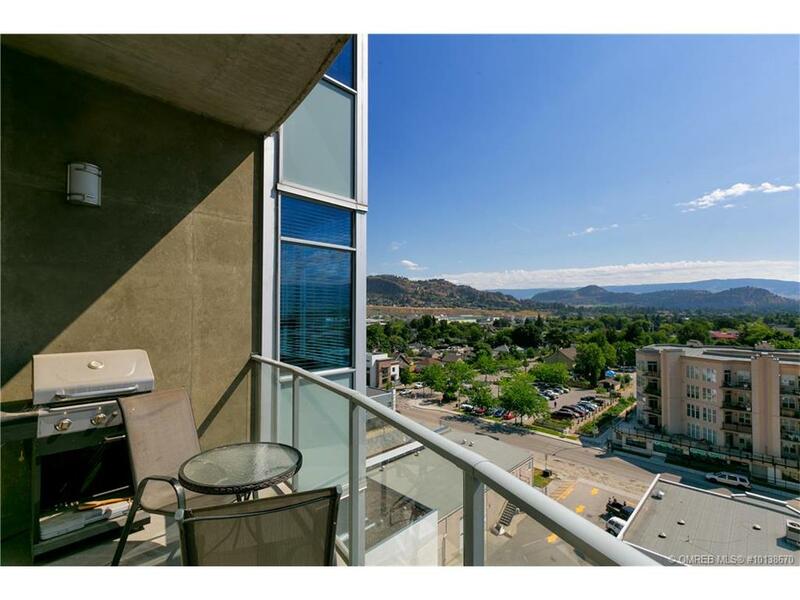 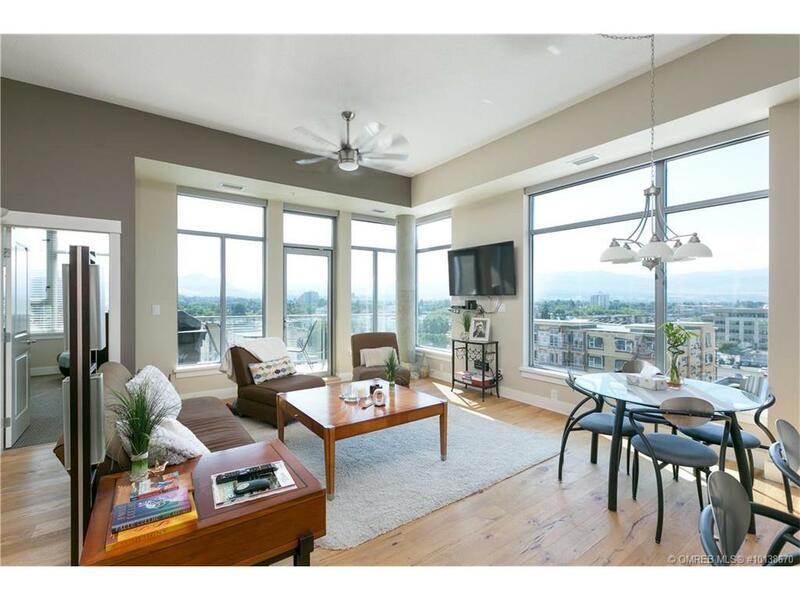 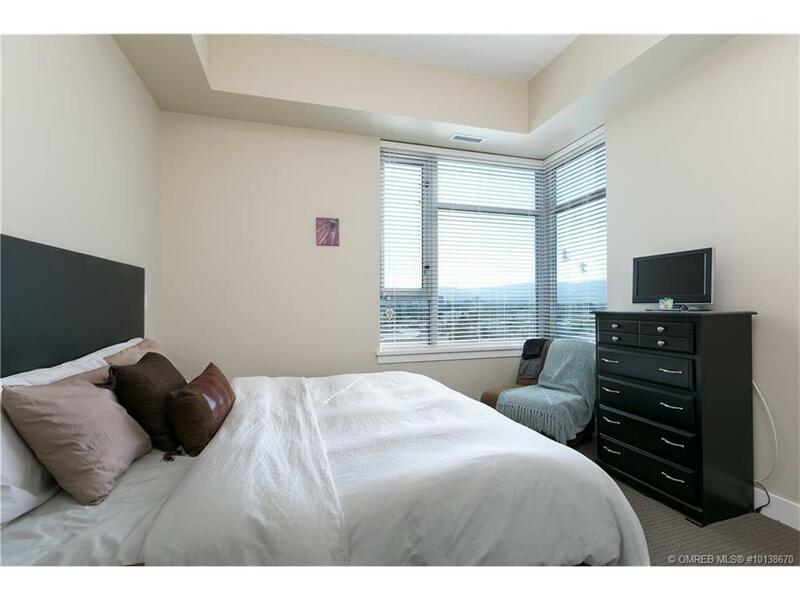 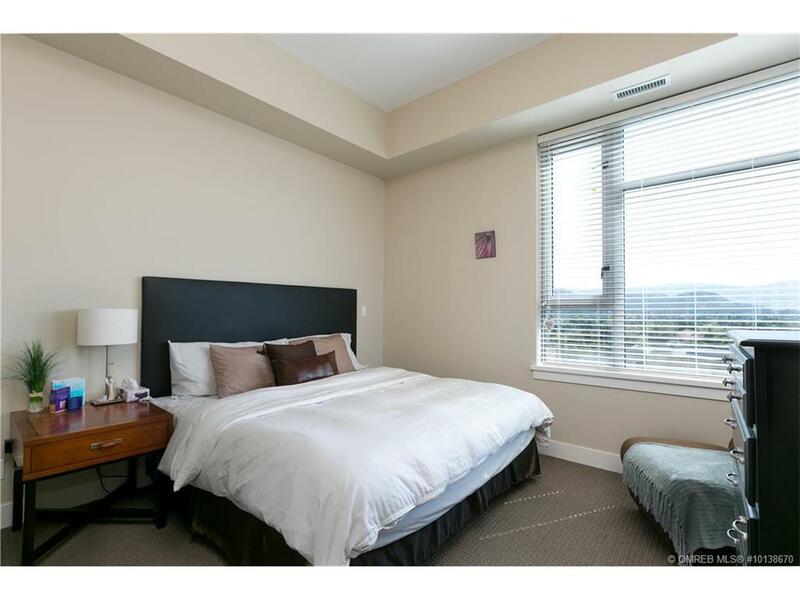 Mountain and Lake views sweep this 7th floor condo from the entrance right through to the outside deck. 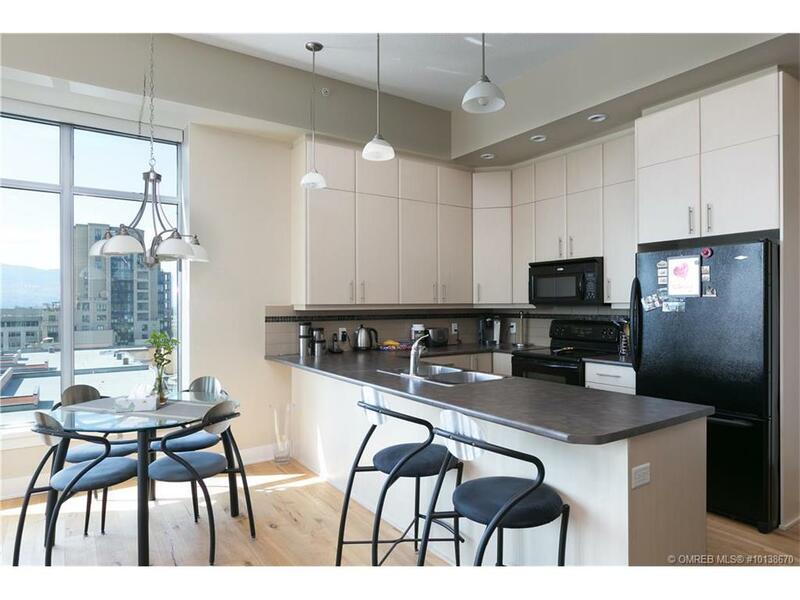 The open concept layout allows the space to feel large and airy for a one bedroom, with immense amount of natural light throughout. 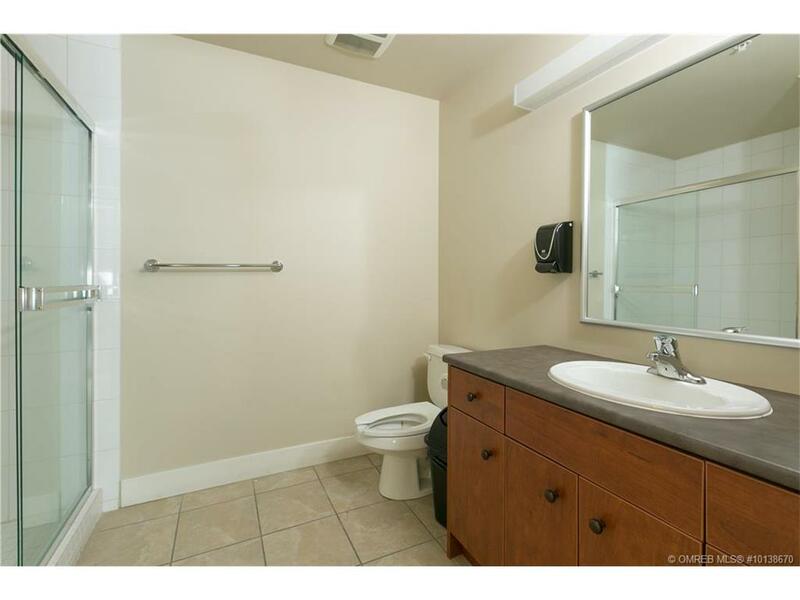 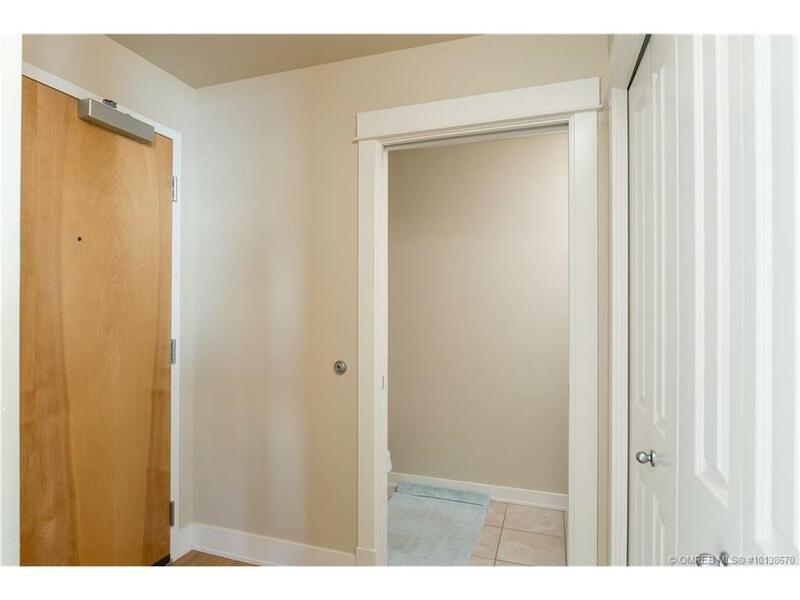 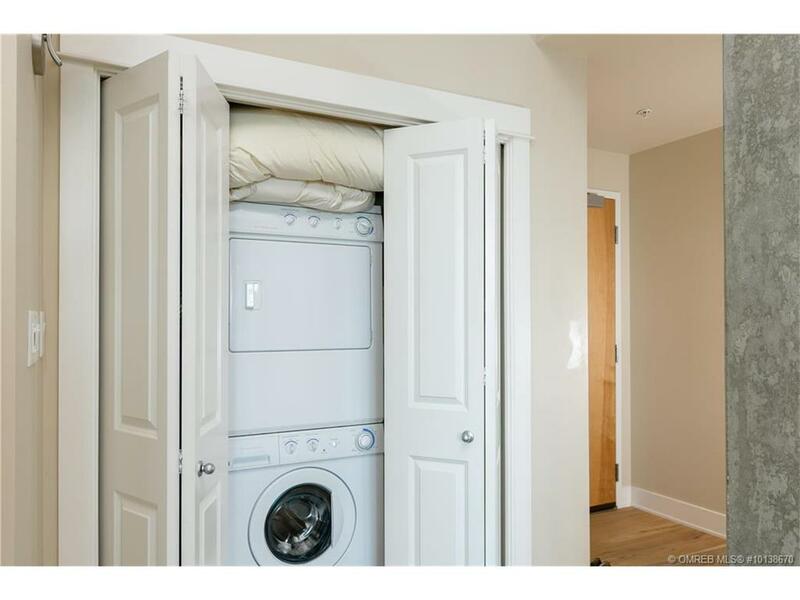 This highly sought after location will not last for long.